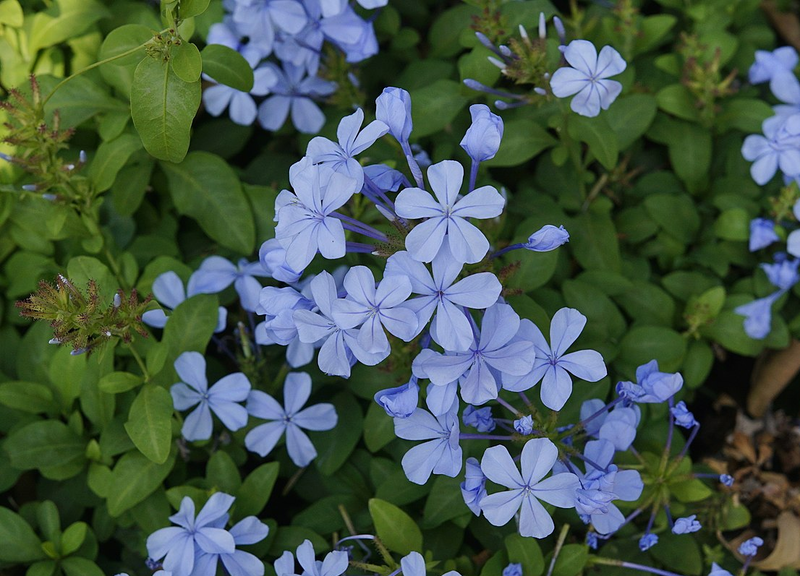 Plumbago auriculata is amongst the most commonly planted indigenous shrubs in local gardens. Available in blue and white flowering forms they grow in a range of different climates. Good in hot, dry areas but adapt to damper cooler regions with relative ease. Damaged by cold winter frost but plants often re-grow from the roots in this instance. 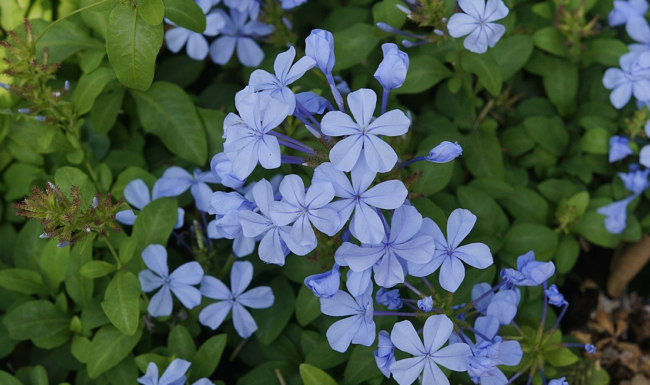 Plumbago attract myriads of butterflies to the garden. Their main flowering times are spring and autumn with blooms intermittent form September to April. Versatile plants that grow best in full sun or light shade can be used for various garden applications. Just be careful of their tendency to sucker from the roots causing them to spread further than expected. Shrub – use as individual shrubs in the garden, they can be pruned or clipped if necessary. Climber / Espalier – train as climbers on fences or trellis work. Standard – stake and train into a topiary standard with a clean stem. Beware of suckers cluttering the base of the plant. Good in large pots. Groundcover – plant en masse in large commercial landscapes and keep pruned as low cover between large shrubs and trees.